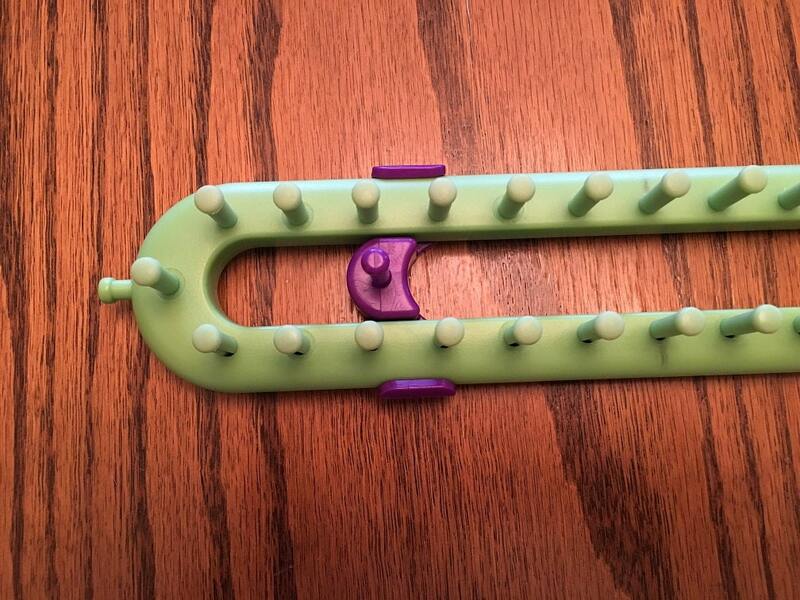 This pattern uses the long green Knifty Knitter loom with two loom clips. 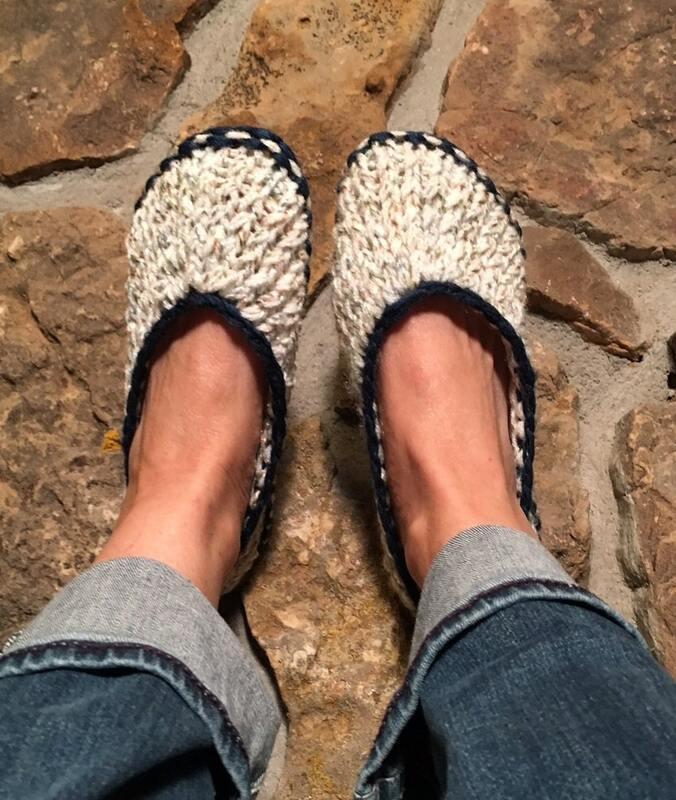 The slippers are knit as one piece…no seaming required! You’ll need approximately 160 yards of a worsted weight yarn. 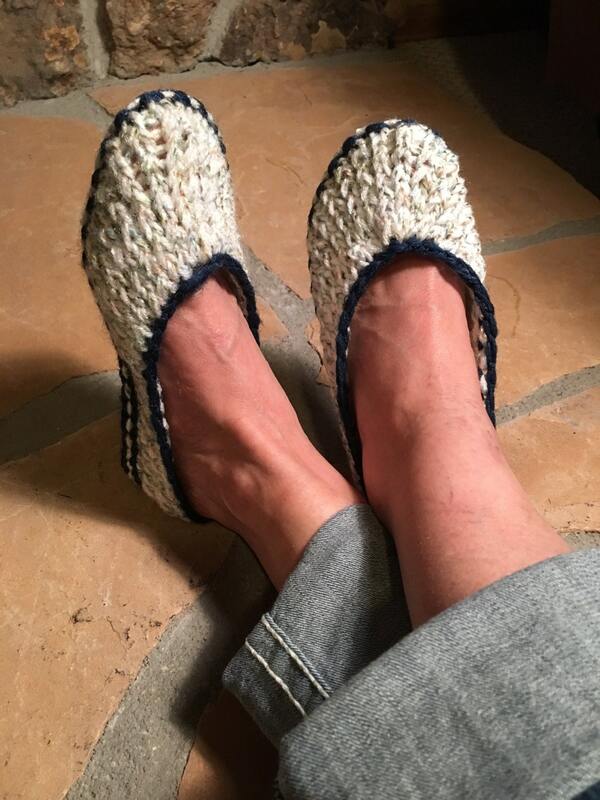 The sample used 80 yards of Phentex Slipper and Craft yarn in Ultra Navy for the sole and 80 yards of Red Heart Fiesta in the Horizon colorway for the upper. 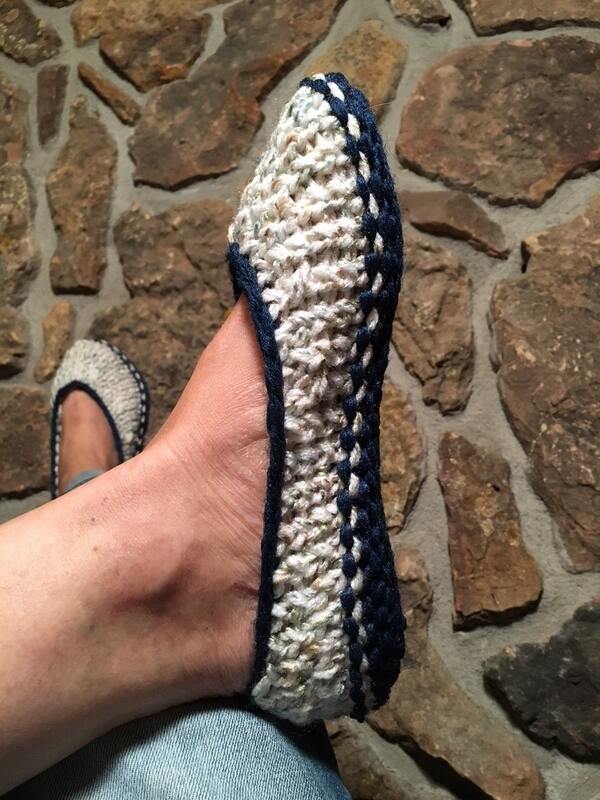 The Ballet Flats pattern includes instructions for Women’s sizes small (5/6), medium (7/8), and large (9/10). There are photos throughout the pattern to help you visualize the steps. 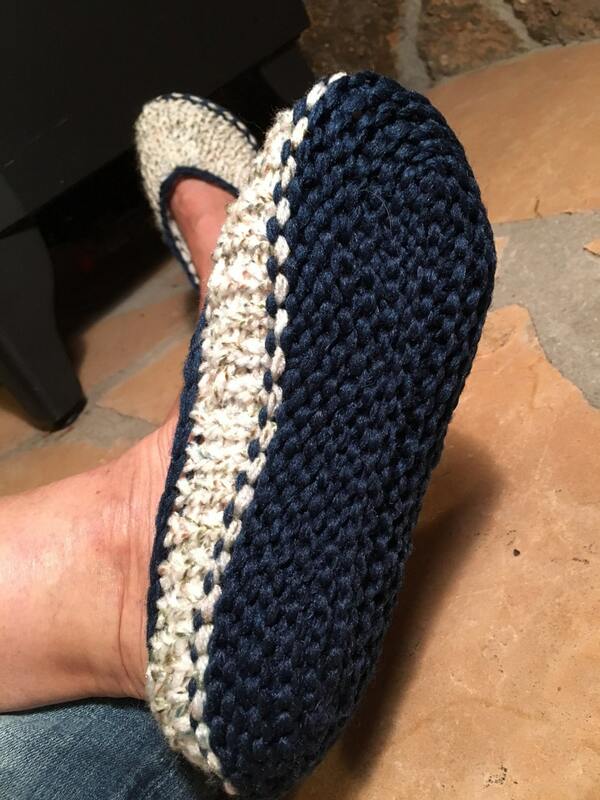 There is also a photo tutorial of what I call the “Zigzag Kitchener Cast On” to help you create a seamless looking sole. This pattern is suitable for an intermediate loom knitter.